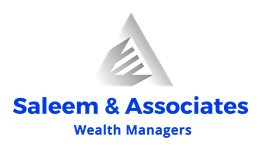 Saleem and Associates, LLC offers comprehensive financial planning for families and professionals in the Houston area. We believe that your success will lead to our success and we pay focused attention on your needs and goals in life. With over 19 years of combined experience, Susan and Jon continue to pursue additional educational opportunities to stay abreast of the ever changing world of economics including investment opportunities and tax and estate planning laws. Once a financial plan is established we continue to monitor the progress toward your goals and make adjustments as necessary.